Woods trailed Francesco Molinari by two strokes entering the day and by three after six holes. Molinari fell apart on the back nine, hitting into the water on No. 12 and No. 15, leading to a pair of double-bogeys. Tiger birdied three of the final six holes to hold off several other golfers who made back-nine charges. 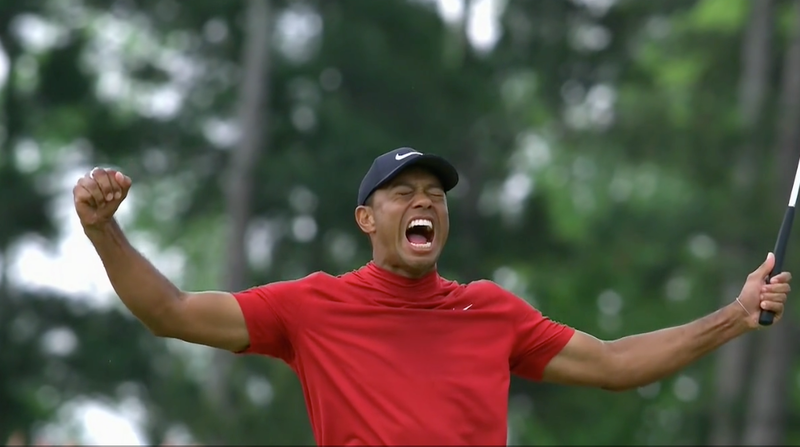 Tiger Woods has done what many thought impossible — He has won the 2019 Masters. The win was the 15th major championship of Tiger’s career, but his first since the 2008 U.S. Open. It was also Woods’ fifth green jacket, but his first since 2005.